Left: A mocha brown corner piece at Francis Ave N and N 43rd Street. This was probably snapped up quickly. 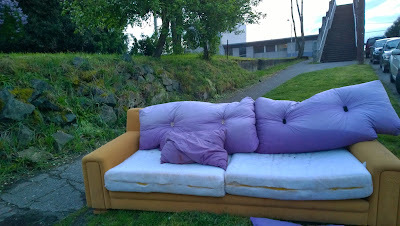 Right: A sight for sore eyes this tan couch with lavender pillows at Winslow Pl N and N 41 Street. 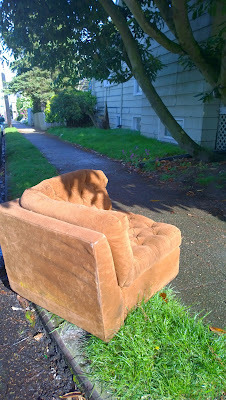 Walk on by.